Our electrology students have several different ways to pay for tuition. Read below for details. If you would prefer to speak with us, call 888-844-4247 and, be sure to ask us about scholarship assistance. At AIE we offer both interest-free pay-direct and traditional long term tuition loans. We can also customize a payment plan to meet most training timelines and budgets. The following financial options are available to American students. You may qualify for one of our scholarships. Visit: our scholarships page and see if you qualify. Scholarship applications are reviewed and responded to within 24 hours and acceptance can go a long way toward making a transition into this career possible. At AIE we can create individual payment plans to meet most budgets. Listed below our two payment options that offer the flexibility you're looking for. If you would like to speak confidentially about your payment options call 888-844-4247 and ask for Director, Ron Davis. Our most popular pay-as-you-go plan allows you to pay throughout your program interest-free in equal monthly installments. Even if your schedule changes your payment plan can adjust accordingly. (past on-time payments required) When you're done, you're fully paid. You can complete your training in 4 months on this flexible plan or you can take up to 18 months to finish your training. Credit checks are not necessary with Pay Direct. This option allows you to pick your payment schedule. In a hurry to complete your program in 4 months but need 24 months to pay? Complete a short credit application and within as little as a day have your loan approved. Tuition Plus loans can be paid off at any time without prepayment penalty. We offer 6 months same as cash. Loans are offered to students who are residents the USA. All programs require a deposit of $1,000 to start. Apply online by filling out our short Online Application and immediately reserve space in our next class. Call Ron Davis at 888-844-4247 for more information about AIE, or send us a message. One of our counselors will get back to you soon. When considering tuition loan options, it's important to know exactly what is being offered. Know your interest rate and if it is fixed or variable (more on this below) and the length of time you're committing to paying off your loan, as well as fully understanding what, if any incentives there are for early payment. This is a primer on how to begin to approach this complex topic. Here are some of the things you need to consider before signing on the bottom line. Federal Loans. Federally approved vocational schools that offer federal student loans from our Department of Education are co-regulated by their states regulatory board of governance and our country's Department of Education. Federal loan instruments are well described in brochures from the government, found online, and will also appear within a school's catalog so that before signing, you should have all of your facts in place. Google federal student loans / features and benefits and you will find volumes of information on federal government loans. State Approved Schools and Private Loans. 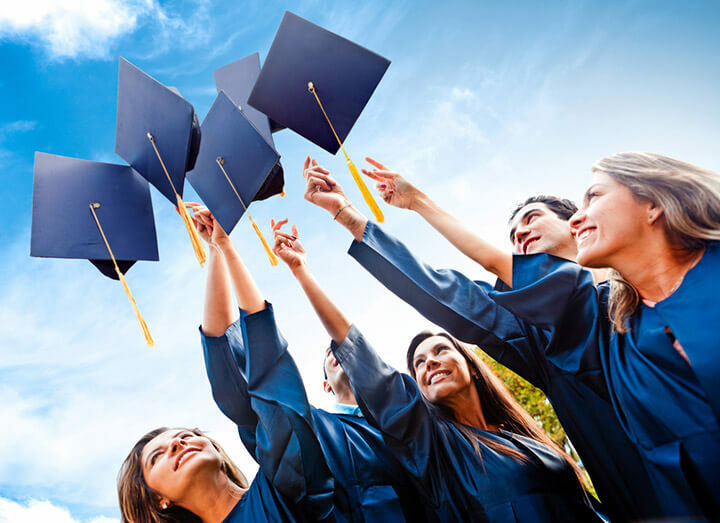 This article focuses on private state approved schools that offer private student loans. It's important to know that state approved vocational schools must work to the standards set by their states school regulatory board. In many instances, these standards are similar if not identical to federal approval standards. In terms of curriculum oversight, consumer contractual obligations and in areas of financial oversight, state approved schools must follow the laws of their state board and almost all contracts used by students including catalog wording, comes directly from a state-authored template of operational terms and conditions. These rules of operation are in every instance put into law through State Assembly bills that are passed over time. Using California as an example, their approved vocational schools that offer Cosmetology, Esthetics, Electrology or Nail Technician programs, are regulated and policed by the California Department of Consumer Affairs. This is done through two sub-agencies that fall under Consumer Affairs overview, the Bureau for Private Postsecondary Education (BPPE) and its Board of Barbering and Cosmetology. Through these departments, Consumer Affairs regulates all school activity within California by enforcing the use of mandatory wording for everything from enrollment documents to timecards and catalog copy. State approved schools that vary from their states rules of operation can be sited, suspended, fined and closed just like federally approved schools that deviate from their required standards of operation. That said, private state vocational schools that are not co-regulated by our Department of Education and cannot offer federal student loans or grants. Pay-Direct Borrower Benefits. State approved vocational schools will frequently allow students to pay them directly over the timeline laid out on their enrollment agreements. For example, if you offer to pay your tuition in equal monthly installments and your school tells you that interest applies to your declining balance, ask if you can pay, interest-free. Interest is frequently charged as a deterrent to not paying on time. Suggestion; offer to pay on time by letting your school charge your monthly tuition payments to your debit or credit card on a specific day each month, and see if they will waive interest on your loan. Many, but not all state and federally approved schools will have a pay-direct, interest-free option. It's simply a matter of asking to determine if this option is available. If so, you can save a lot of money over time in interest fees. Fixed or Variable interest rates. Private school third party loans can come in two forms, with fixed or variable interest rates. With variable rates, what you pay in interest can change over time so be sure you know what type of interest applies before committing. A fixed rate is preferable because you always know what your payment will be over the term of your debt obligation. If your loan does have a variable rate, be sure that there is a cap on the amount that interest can rise over the term of your loan. Today, it isn't hard to find loans with fixed rates. You simply have to be aware that variable rates exist and avoid them at all cost. Co-signers. When entering a private for profit state approved vocational school that offers payment terms that go well beyond your time in school, you will find that the school is usually working with a third party lender who does charge interest based upon your credit score (FICO score) and payment history. If this is the case, and if having longer to pay than your time in school works to your benefit, ask about the features of the consumer loan(s) they're offering. An initial short application is usually completed with an initial approval given prior to a secondary form being offered that will ask for more details on your employment history, income, and other debts you may have. On the secondary form you will generally see an opportunity to add a co-signer. For young students who may not have sufficient credit history, and for those who have had credit problems in the past, the addition of a co-signer is a blessing because with a co-signer who has good or excellent credit, your interest rate can be reduced. At times, a co-signer will make the difference between getting a loan approved and being declined all together. Parents, grandparents, older siblings as well as other family members who are financially secure are good choices. Private Lender Incentives. Some lenders will charge rates that are in excess of what credit card companies charge but as incentive to use their lending services they may offer “6 months same as cash” meaning that if you pay within 6 months, payments made to date toward principal and interest will convert to all principal payments. In other words upon conversion you'll have only paid principal and your final payout will satisfy the terms of your debt obligation without a cent of interest being paid. No Pre-payment Penalties. Look for the option of paying out your loan at any time without pre-payment penalties. This often coincides with the option of over-paying or making balloon payments when you have extra cash to put toward your outstanding balance. It's important to know that you can pay off your tuition at any time without incurring fees and that you'll only pay interest up to the day you pay off your loan. Before agreeing to a loan, sure that you are not obliged to pay all interest for the entire term of the loan, regardless of your early pay-off date. No pre-payment penalties should mean just that…no fees or penalties added for early payment of your tuition. The American Institute of Education can put you on the fast track to a rewarding career. Stop dreaming about it and make it happen at AIE! Want to learn more? Read Why Become An Electrologist to see why AIE's electrology program is right for you! 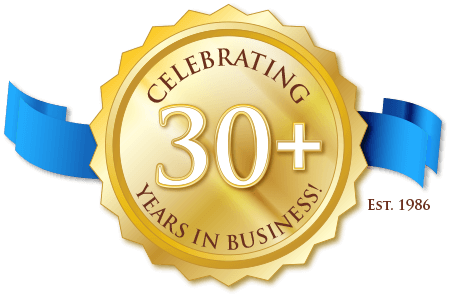 AIE'S ELECTROLOGY PROGRAM is right for you! The American Institute of Education can put you on the fast track to a rewarding career as a licensed electrologist. Stop dreaming about it and make it happen at AIE! In just four months, you could be earning $70 to $130 per hour and working whenever and wherever you want. AIE's Electrology Program can make it yours. For many years those of us associated with electrolysis understood that epilators operated at a frequency of 13.5 megahertz. About twelve years ago Dectro International introduced its Platinum line of epilators that operate at 27 MHz. Our horizons were expanded. Their claim is that hair is permanently removed 25% faster and with a degree of comfort previously unheard of. So what are we to make of an epilator that operates at 6.68 MHz? 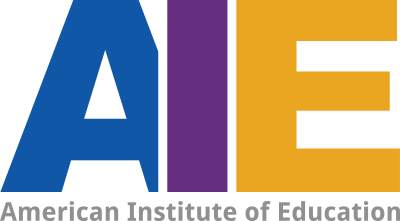 At the American Institute of Education, we let our electrolysis graduates speak for us! Our state-of-the-art training leads to exciting, financially rewarding careers. Our graduates are some of the most sought after electrologists in the market. I really loved school at American Institute of Education and I selected it because I heard it was the best program. The experience was amazing even from the first phone call with Ron where tuition, scholarships, program hours flexibility, online access, and timely information is all top notch. The curriculum is national standard and includes all the latest and greatest topics that are hot in the industry.